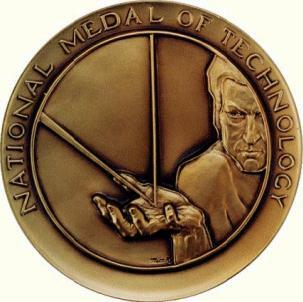 "For creating the foundations of personal computing including continuous real-time interaction based on cathode-ray tube displays and the mouse, hypertext linking, ..."
December 1, 2000: A momentous pause in the unfinished revolution. 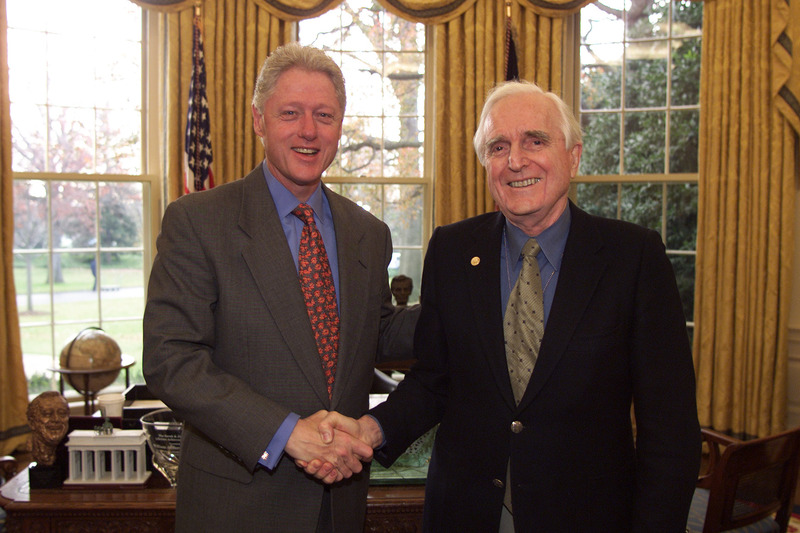 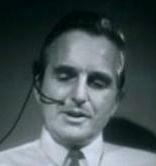 President Clinton and Douglas Engelbart. 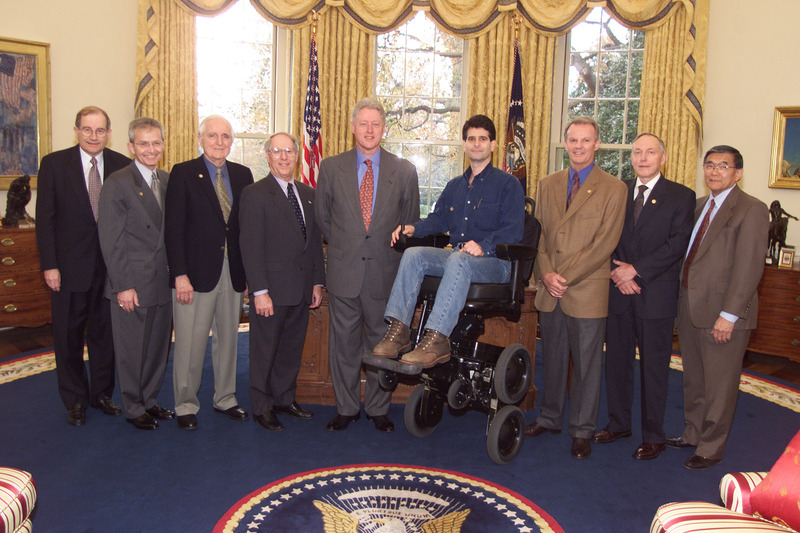 President Clinton, Secretary Mineta, and NMT Laureates. 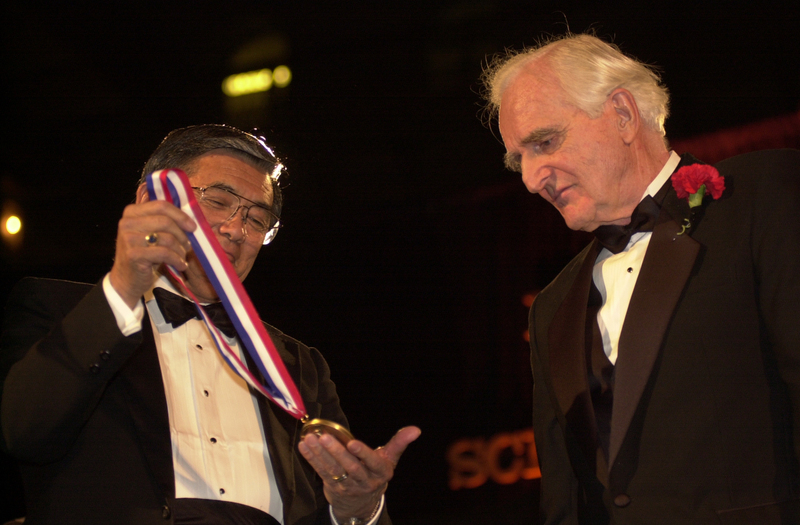 Secretary of Commerce Norman Mineta and Douglas Engelbart.